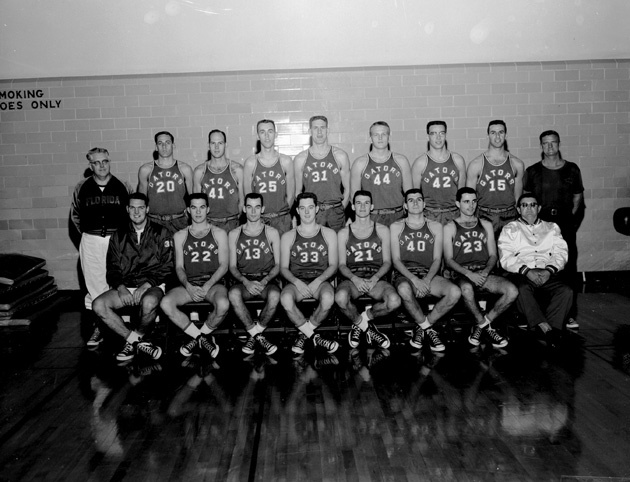 ﻿ University of Florida basketball team in Florida Gym. University of Florida basketball team in Florida Gym. Photograph 4637 from the University Archives Photograph Collection.